Sometimes life is crummy. Sometimes life is good. One of the good times was that I found out sorta last-minute that I'd be able to serve as a staff representative on a group trip last month to Yosemite, Kings Canyon, and Sequoia National Parks in California. Good. My wife then flew out and met me in San Francisco for a few days of travel around the Bay Area. Even better. Believe it or not, I looked for some birds. Do you want to see photographic proof? Well, I hope so because that's what you're gonna get. I saw three ABA life birds on the trip: the quasi-nemesis Red-breasted Sapsucker (spent a few hours looking for them last time I was in CA), Sooty Grouse, and the goddamn California goddamn Condor. 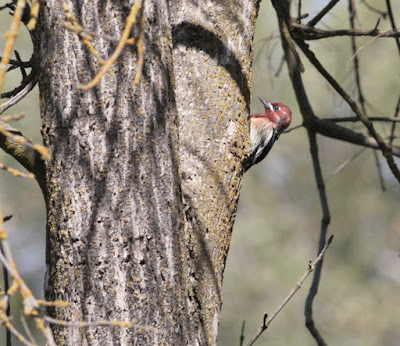 Here's the sapsucker. The first one I saw was outside the hotel in Sequoia NP but I was unable to get a photo, this guy was at Lost Lake Park north of Fresno, where I snuck for a few hours before my flight to SF. An attractive bird, looking like a YB sapsucker that dumped his head into a jar of raspberry jelly. 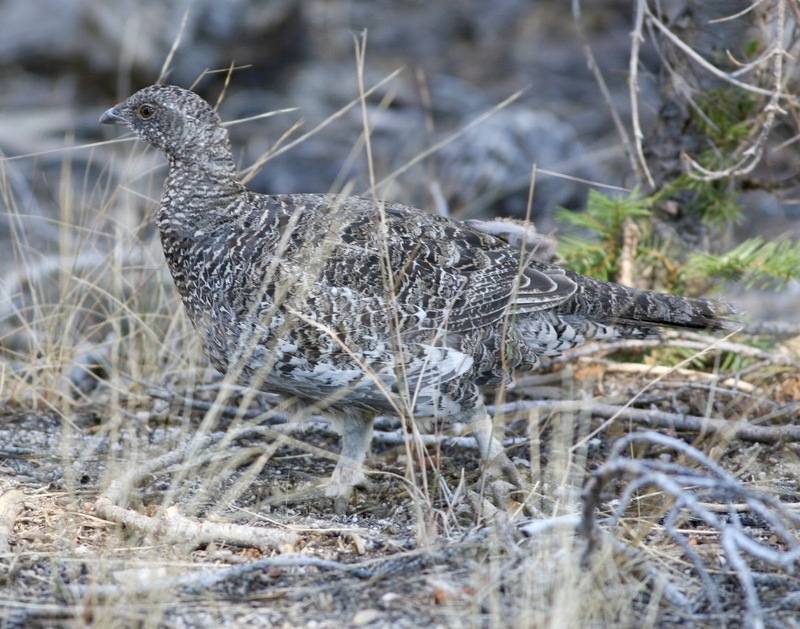 Two female Sooty Grouse popped out of the woods near the top of the Sentinel Dome Trail in Yosemite. They were ... obliging. Even better with Half Dome in the background. This is a California Condor, the largest flying bird in North America. (Don't give me any of that swan garbage.) I saw five of them in total, none closer than this unfortunately. 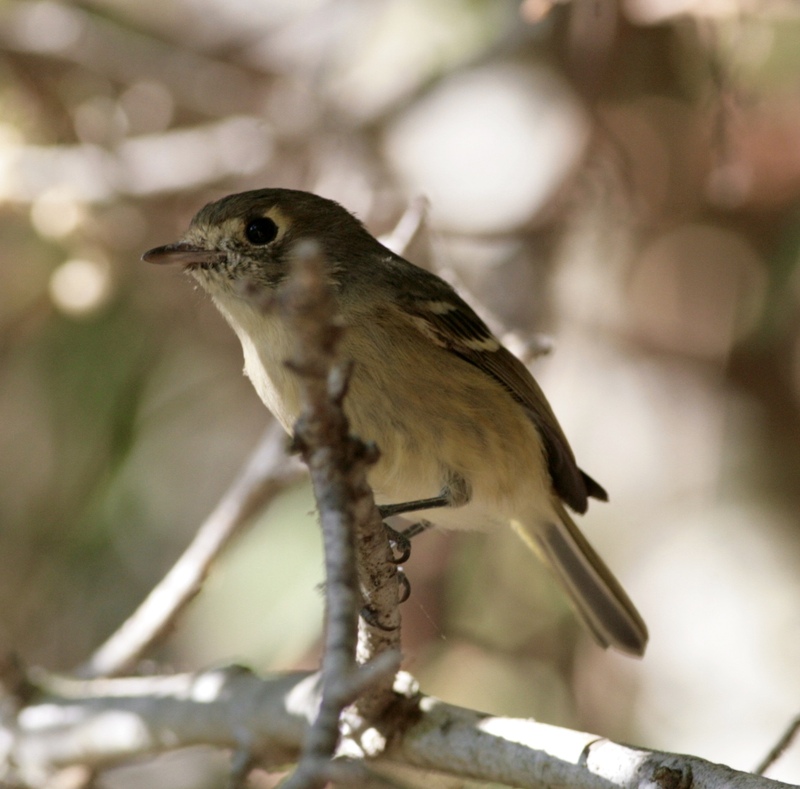 This first one was at Andrew Molera State Park, a beautiful place with an absolutely massive bird list. 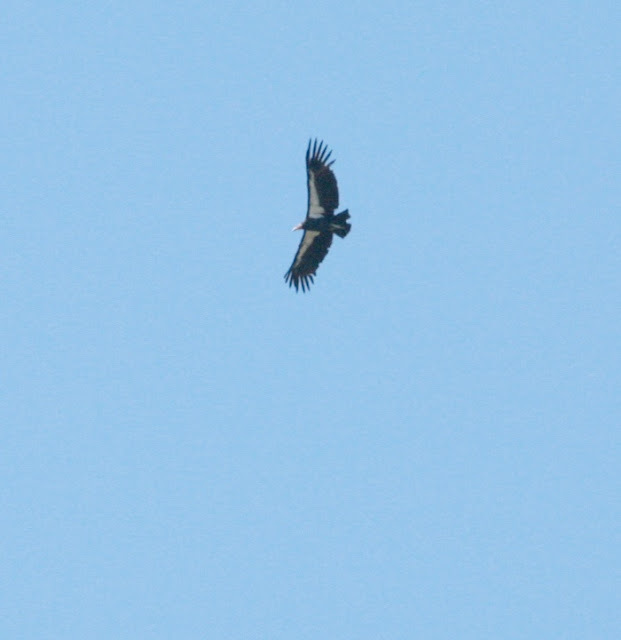 I saw a couple more condors elsewhere in the Big Sur area, all very high and very far. What an awesome bird. Saw a bunch of other good birds, too. See? Seller's Jays were everywhere, which was absolutely fantastic. These were the blue-browed Pacific subspecies. 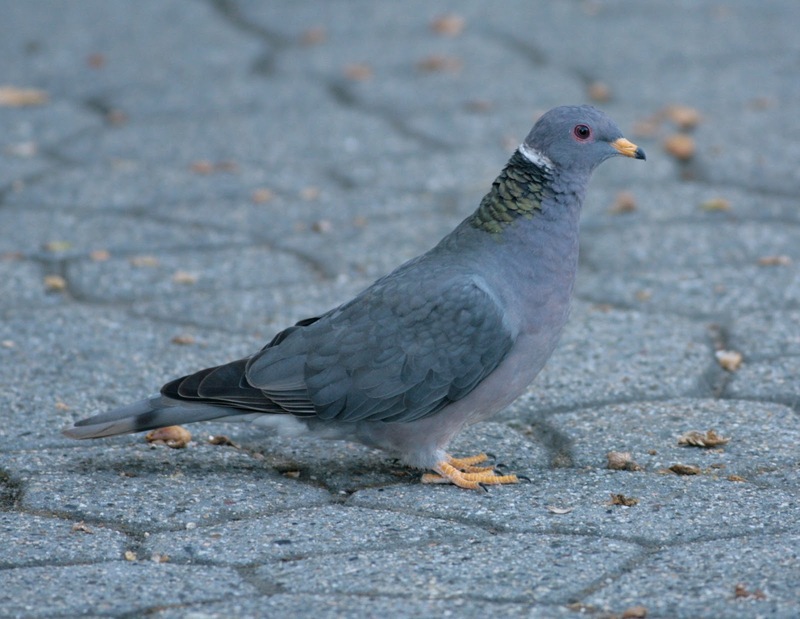 I usually only see Band-tailed Pigeon flying quickly overhead, so it was nice to get a glimpse of this guy acting like his invasive cousins, eating seeds out of a dirty gas station parking lot. Pretty bird. 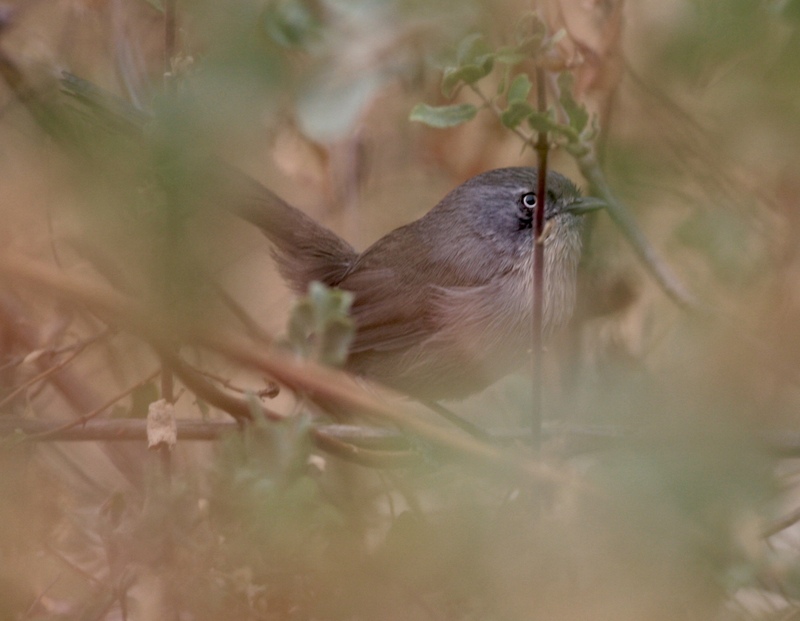 Wrentits are very hard to get photos of. So are flying Acorn Woodpeckers. The Acorn show at Pinnacles NP was incredible. 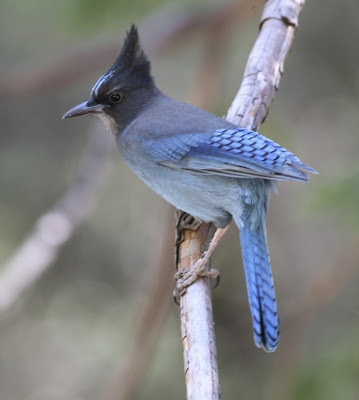 Dozens of these birds flying back and forth between oaks and the tree trunks they were drilling acorns into...the whole valley sounded like a construction site. Look at all those holes! 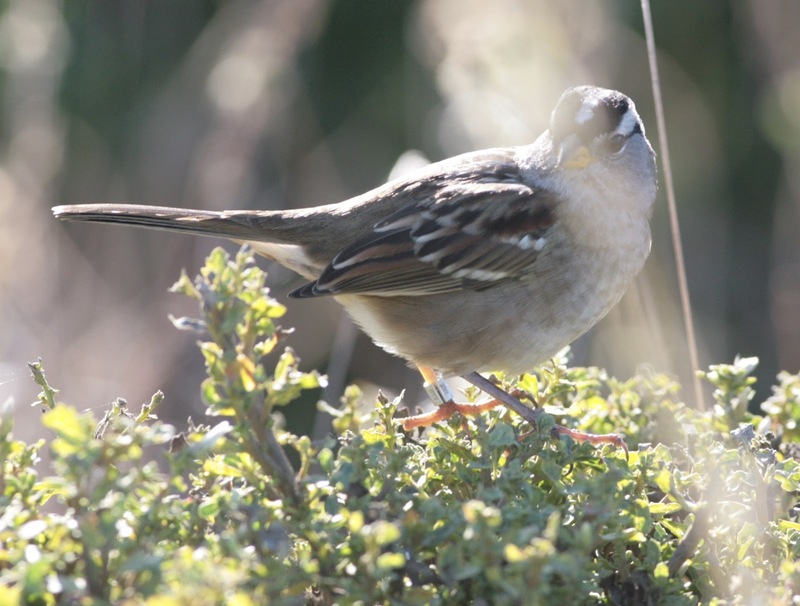 White-crowned Sparrows were everywhere on the trip. The bird at Point Reyes National Seashore were the yellow-billed Pacific subspecies, and many of the ones I saw were banded, I assume by Point Blue (formerly the Point Reyes Bird Observatory), but I don't have any confirmation on that. This bird has a metallic band. A slight disappointment of the trip was that I wasn't able to get on a boat out of Monterrey Bay. My wife and I went out on a whale watch boat, but instead of heading out to sea like the trips normally do we hugged the coast to find some Humpbacks (which were cool, of course). Tourist boats are tourist boats. I saw a lot of Common Murres, a Rhino Auklet, and a couple poor looks at Black-vented Shearwater, but none of the super cool birds -- and lifers -- that I could have. Good incentive to come back. 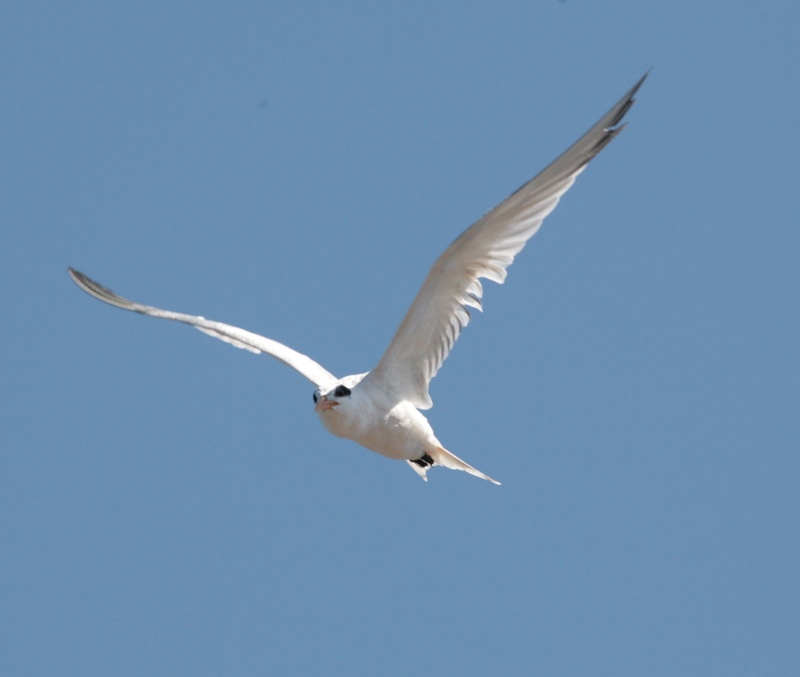 These Elegant Terns were not bad consolation.